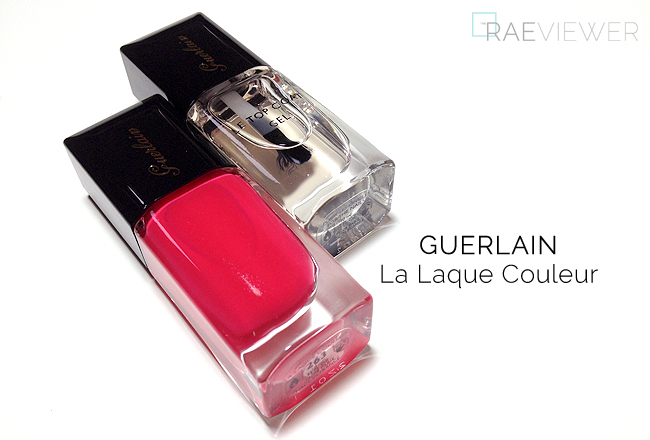 Guerlain Nail Lacquers ($23 USD each) were reformulated, repackaged and introduced earlier this year. I was hesitant to try the new formula since I am so dedicated to my Chanel, Deborah Lippmann, and Essie nail polishes, but I am so glad I took the plunge. I have worn this nail polish for nearly a month straight, with minor tip wear after one week and one chip after two weeks of wear through traveling and lots of kitchen cleaning. See more photos and swatches after the jump! 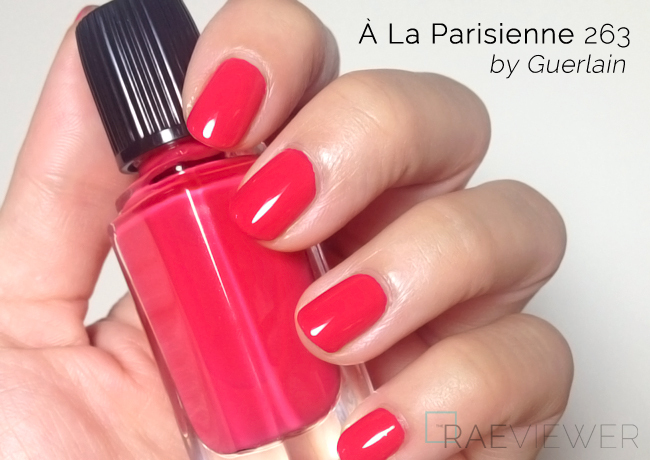 I was not convinced at first swipe, but À La Parisienne is one unique red. Some call is a rose-coral or coral-red, but this nail polish pulls far more pink on me than I expected it to. It looks more like a true rose-red in the shade or dim natural light, but À La Parisienne transforms into a rich pinky-red in artificial light or full sunlight. It brightens up my tan hands, giving them a more youthful appearance. Essie's Silken Cord is the closest in color to À La Parisienne, but Silken Cord is a true cream and pulls noticeably cooler. 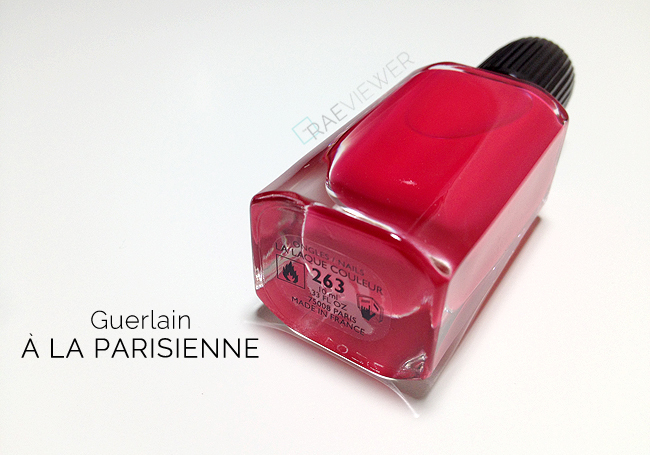 Upon closer examination, À La Parisienne has super fine bits of fuchsia shimmer strewn throughout, but it is not noticeable at all when worn on the nail. I love the extra flat, widened brush. It reminds me of Dior's but less chunky and frayed, and I did not anticipate it would work so well on my narrow nail beds. Clean up around the cuticles was minimal. The formula is not too runny or too dense, making it supremely easy to control during application. According to Sephora, there are "adhesive resins" that allow for an even sheen of color but no formaldehyde. The Le Vernis Maxi Shine is truly well pigmented, but I highly recommend two generous coats for full color coverage and that "gel nail" look. The first coat self-levels and dries down beautifully, but if you have stark nail lines as I do, you will require two coats of polish. 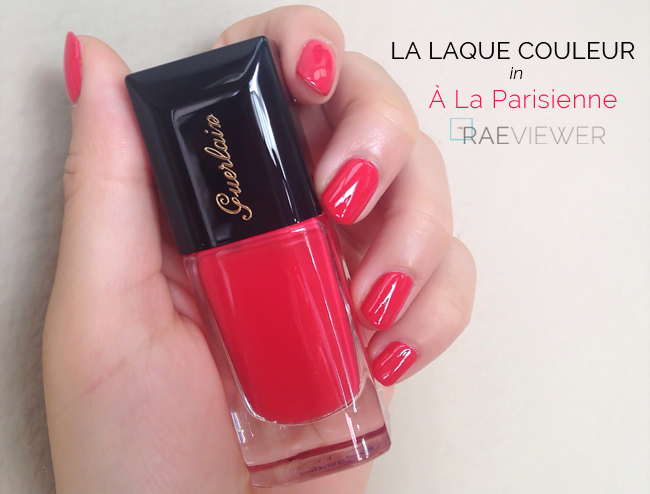 The polish does have a high-shine finish naturally, but I much prefer the look of À La Parisienne when finished with Guerlain's Gel Top Coat. Be prepared, however, to wait a good 30 to 35 minutes for the Gel top coat to dry. It maintains the glossiness and wear of the polish for several more days, which I believe is worth the extra effort. I ordered mine from Sephora, but you can also purchase these nail polishes at Nordstrom, Bergdorf Goodman, Neiman Marcus, or Bloomingale's. There are 11 shades total. 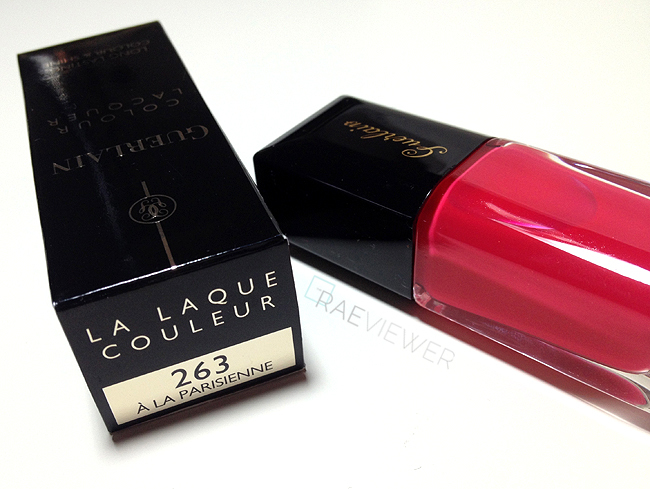 Bottom Line: I cannot wait for the color range to expand because this Guerlain La Laque Couleur formula is absolute perfection.. I need them all! I'm so glad you reviewed this nail polish! I have the exact same shade. I've noticed though (as has my mother, who owns a different shade of Guerlain laque), that after wearing it, my nails become noticeably weaker and more prone to breakage along the tips. Did that happen to you? I'm wondering if I should get the Guerlain base coat to have suitable protection against whatever innovation they have included that disagrees with my biochemistry! No, I haven't noticed that! My nails tend to be on the thicker side, though, so that may be why. 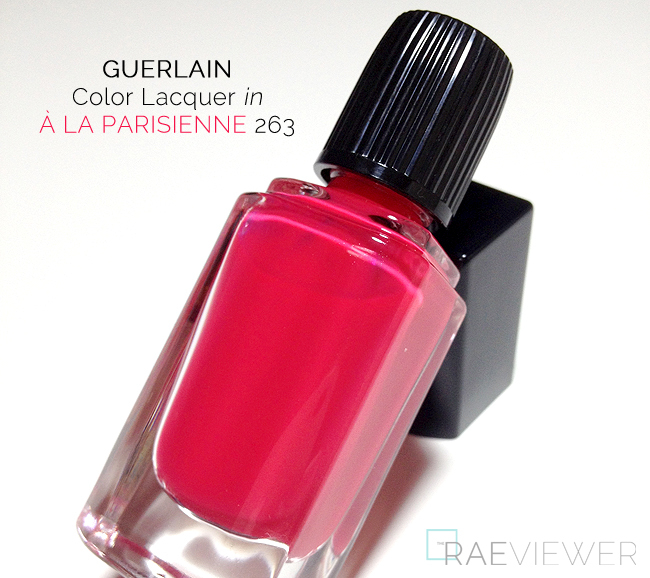 I'll be trying the Guerlain base coat soon! Elena I had the same problem. My nails started peeling and it has taken me forever to repair my nails.